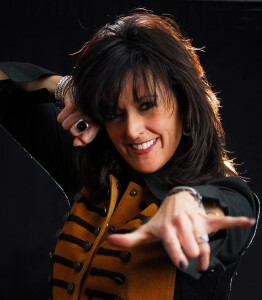 Amy Wolter is a live music producer at Tom Jackson Productions/OnstageSuccess.com. She has been playing music her entire life, and started playing piano/keyboards and singing in bands when she was in high school. 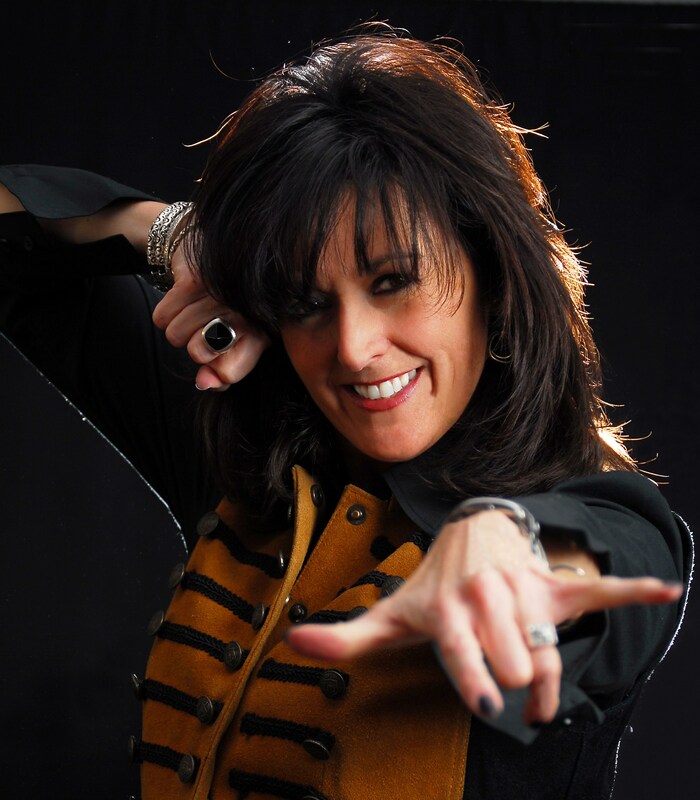 In the early 90s, she was the female lead singer in the Christian rock band Fighter – a band that played in front of audiences of thousands – and released two CDs with them in the early 90s on the World label Wonderland. After Fighter disbanded, she released a solo album using the talents of Dez Dickerson and several other members from Prince’s New Power Generation. Over the past two decades, Amy has also worked in recording studios, producing indie projects and producing and recording over 100 advertising jingles. She is based in the Nashville, TN area. I recently got to talk to Amy about what a live music producer does for artists as well as some advice she has for artists that want to create real “moments” in their live performances and better connect with their audiences. Thanks so much for taking the time to talk to me, Amy. How did you get into the music business? I’ve been singing since I was a kid and have been in bands since high school. First I was a piano player and keyboard player, and then as I started to find my voice, I started singing lead in a Christian Rock band called Fighter in the early 90s. I got a record deal through that and put out a few CDs with that band, then put out a solo CD after the group disbanded. I’ve also worked in a recording studio writing and recording jingles and also producing some projects. So, that background plus doing songwriting has culminated in the job I do now, which is helping artists on their live show. All those elements come into play in my position as live music producer. And what does your job as live music producer entail? We used to go by the title “performance coach,” but that doesn’t really entail all we do. A producer works in the studio to produce a song for CD and for radio. We produce the song for a live situation. Playing in front of the audience is a different animal. You don’t have the time restrictions and the rules that apply to radio when you’re live. You have a lot more freedom. We approach the song arrangements first to look for and dig out those moments. So, we start with the production of the song before we do anything else. What are some things artists do wrong that you have to correct most often? I fell into the same trap of thinking I had to play my songs live just like they were on the record. That would be the top thing that artists do wrong. The second thing is that artists think they have to play each song perfectly. Don’t misunderstand: We want artists to play well. But audiences don’t really come to hear you play perfectly unless you’re in the very small minority of artists with fans that are very technically minded. Sure. For example, people would go to hear someone like Neil Peart mimic his record perfectly. But that’s the exception to the rule. Yes. More important to the audience is coming away feeling like they’ve experienced something. A lot of times they don’t even know someone missed a note or was flat here and there. The more important thing to the audience, which they might not even be able to verbalize is what they experienced and how they came away feeling from the show. That’s why we work to create “moments” in an artist’s set, rather than having them just stand there and play songs. Do you ever act as a band’s or artist’s stylist? I get asked from time to time to help with that, but it’s not our central focus. It’s an aside. About 55% of what an audience gets from the stage as far as communication goes is what they see. Obviously if what someone’s wearing doesn’t fit their music style or is distracting, that’s a part of what I have to do. We work on making each song look a little different to hold the audience’s attention. Can you give me some specifics on how you’d make a song look different? We don’t do theatrics or choreography. We look at each song like a script, as if you were doing a movie or a play. What that song says and the feel of it both dictate how it should look. We teach artists to pay attention to tools and techniques. So, for example, we ask some questions: “Does it make more sense for this song if the artist were sitting on a stool?” “Does it make more sense if they are standing at the mic stand?” “Does it make sense to have the artist moving around the stage and interacting with other band members?” In other words, we want to enhance what each song is saying and how it sounds with the visuals brings it up a notch and drive the message home even more. For someone that can’t necessarily afford your services, what are some important things to keep in mind in regards to performance? Are there some tips that apply across the board, or does the advice you’d give depend more on the individual artist? There are so many small elements that come into play. I guess the biggest downfall of artists is that they don’t take time to come up with a plan or a vision for their live shows. How do you want your show to look and how do you want it to affect people? You need to research which tools to use and learn to talk to the audience. A lot of people will think they have the songs down because they rehearsed them in a circle in the basement. And then they get up on stage and they have no clue what to do. They end up thinking all the time, and it distracts them from paying attention to and interacting with the audience. You need to have a plan in place: “This is our set list. We’ve even worked on our transitions and what to say to the audience. We know who is starting each song, so there is no downtime. On this song, I’m playing a guitar. On this other song, I’m holding the mic.” All these little things add up to make a good performance. People really need to go through and think out their show. They need to plan it instead of just trying to wing it. Usually when you wing it, it’s a disaster. It looks unprofessional, and you lose your audience. In the same way you work on your songwriting, playing and your chops, you need to work on your live show. Most of an artist’s income these days is going to come from a live show, because they’re not recouping from a record label. And not everybody’s going to even have a song on the radio. Even if they do, unless it’s a huge hit, they won’t be able to make a living with that. Over the last few years, with the shift in the industry, it’s been more important for artists to pay attention to how they come across live. That’s where they’re going to get new fans, sell more merch, etc. The more moments they create in their show, the more merch they sell. We’ve seen a direct relationship. How does an artist create a moment? Say there’s a really interesting bridge on your record in a song. Maybe it’s only two or four bars. It goes by really fast, but it has a cool feel to it, and it’s begging for a touching moment. So maybe we change the arrangement, lengthen the bridge and break it down instrumentally so it gets really soft and moody and then builds up in a crescendo and then goes “boom” into the chorus. If we left the space in there and took time to not just rush through the song, but really highlight cool passages, we’re able to create a moment that might’ve otherwise been overlooked by the audience. Because we took the time to expand it, play with it and bring dimension and dynamics to it, all of a sudden it’s the cool moment in the song. Another example of a moment is, say there’s a song that’s highly singable and you can tell the audience is dying to sing along. We might add a couple more choruses and have the lead singer teach it to the audience. He takes the time to teach it to the audience, and the audience is singing it and loving it. You’ve just created a moment there where the audience members were connected, because they were a part of it. What happens when you create these different moments is that after the show, people run back to the merch table and say, “Where’s that song that made me feel that happy? I want to feel that way again.” They want to take that moment home with them. That’s how creating moments translates to merch sales. As soon as you’ve created a moment there – maybe it’s a story about how you wrote a song or something else very personal – someone in the audience is going to relate to that story and connect. Just by learning how to tell a story well, you can create another moment and make people want to take it home with them. I’m going to go out on a limb and suggest that maybe a lot of the pros we take for granted who seem to be doing things so spontaneously are actually thinking and planning these things that may appear spontaneous. Has that been your experience? Yes. And there are things to know about the pros – people everyone knows and hears on the radio. For one, they’re married to their audience. That’s why George Strait can get by with standing in one spot all night. Everybody knows his music already and is passionate about it, and they don’t care that he doesn’t move around or do anything else. Most artists are dating their audience, so they have to win them over. I’ve seen some artists that get to a certain point, but their live show doesn’t connect, so people don’t want to keep coming back to the show because it was boring. But they’ll still buy their CDs because they’ve heard the songs on the radio. You probably remember seeing Prince flip his mic stand around and do all kinds of tricks with that. I talked to Dez Dickerson who was in the New Power Generation. He said Prince cancelled rehearsals for a week just so he could go by himself and practice with that mic stand doing all the tricks. Then he came back and put it in the show. People think, “That’s cool” and that it’s spontaneous. But he’s worked on it. Those are things you just take for granted when you think someone is just cooler than cool, and that all those tricks are part of who they are. It’s hard to think of that level of cool as something somebody would actually shed. How important is eye contact with the audience, both for a lead singer and for an instrumentalist? What should you be doing with your eyes, and how do you engage? People want to feel like you care they showed up. Something I stress to everybody as one of the top things is, “Make eye contact.” We teach something we call “zone-in, one-on-one communication.” Maybe you’re in a big auditorium. You start in the back and look at different sections in the back. By looking out and really directly looking at someone, in a large space, you will make probably 20 people in that area think you are looking at them. Zone-in, one-on-one communication is about looking at sections starting in the back and working your way to the front. The people in the front are already connected because they’re closer. But I think people can tell if you’re looking over their heads, especially up front. Make eye contact, sing to them. Of course, there’s an art to knowing how long you should fixate on one person. Well, it can get very uncomfortable, clearly. Yes. There’s a line there, where the person will think, “Okay, look away.” But people feeling like the artist is looking at them during a show is huge. Something I always make sure artists don’t do is look over people’s heads. Then there are artists that you see looking but aren’t really looking – it’s like a glassy stare. Their eyes are open and pointed at someone, but it doesn’t feel to the person like they are actually seeing them. That really bugs me too. It usually means they’re self conscious or they’re thinking about what they are going to do or say. They’re not totally engaged in the moment, or are thinking ahead or having to focus on something else. Do you recommend people practice a certain way? Are there “best practices” for live rehearsal? Great question. A lot of people rehearse in a room that is small, and they all stand in a circle facing each other. Then when they get on stage, it’s awkward because they haven’t rehearsed that way. I recommend they get in a room somewhere where they can set up like they’re on the stage and facing the audience. We can actually spend hours on one song in a rehearsal. Sometimes we’ll block some movement, maybe a guitar tradeoff where they’re battling it off, and it creates a fun moment. We go through each song in rehearsal and just figure out where the moment is and how it should look. And we tell the artist to go home and practice it until they totally own it. That way, when they get up on stage, it doesn’t feel rote, or like you’re mechanically going from one place to another. The artist understands what’s behind each moment and have really worked on getting comfortable with it. Yes. Something that practiced would feel fluid and natural. When you’re really influenced by somebody, should you be trying to emulate that person, or should it really be totally about self expression? I don’t mind when artists borrow some elements. But it really does need to be authentic. If there are elements of what an artist does or how he acts fit with who you are, then you can work some of that in. But you’re going to have to own it in your own way. We’re all influenced by several different artists, and that’s what keeps making all these different hybrids of different bands and artists. We all get told we sound like somebody. From a live music standpoint, which piece of advice would you most want to communicate to yourself when you were first starting out based on what you’ve learned along the way? That would be the main mantra we preach, which is, “Love your audience.” What really keeps us from doing that is self consciousness about how we look or sound. The more prepared you are, the more that frees you up in a live situation to focus on the audience. Watch their reactions and learn how to read them. And care about them just by your demeanor in stage. You want to include them in the fun. I watched a band recently and literally felt no connection whatsoever. And none of the crowd did either. They hardly clapped at all, because it looked like it was totally self gratifying. They were just into each other and their music, and they didn’t give a rip about the audience. It was bizarre, and never witnessed it to that degree before. It was a new band, and I was thinking, “Wow. This is blatant. I feel no care or love coming from the stage.” You need to love the audience. To learn more about Amy Wolter and how she helps artists, check out her page on the Onstage Success website. You should also take a look at the Tom Jackson Method DVD set to learn more about some of the methods she and her company teach to help improve live performances.